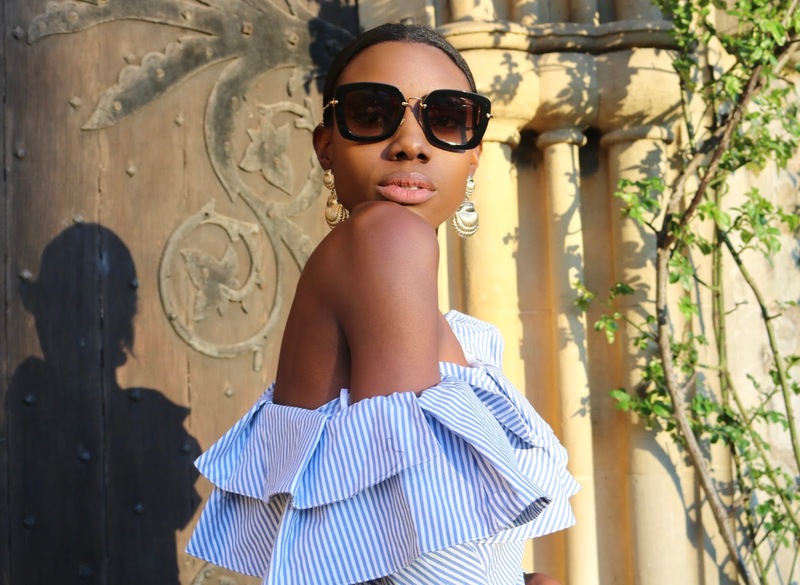 I told you I would be back with some more one shoulder ruffle top action after my last post on this 2017 Summer it piece. 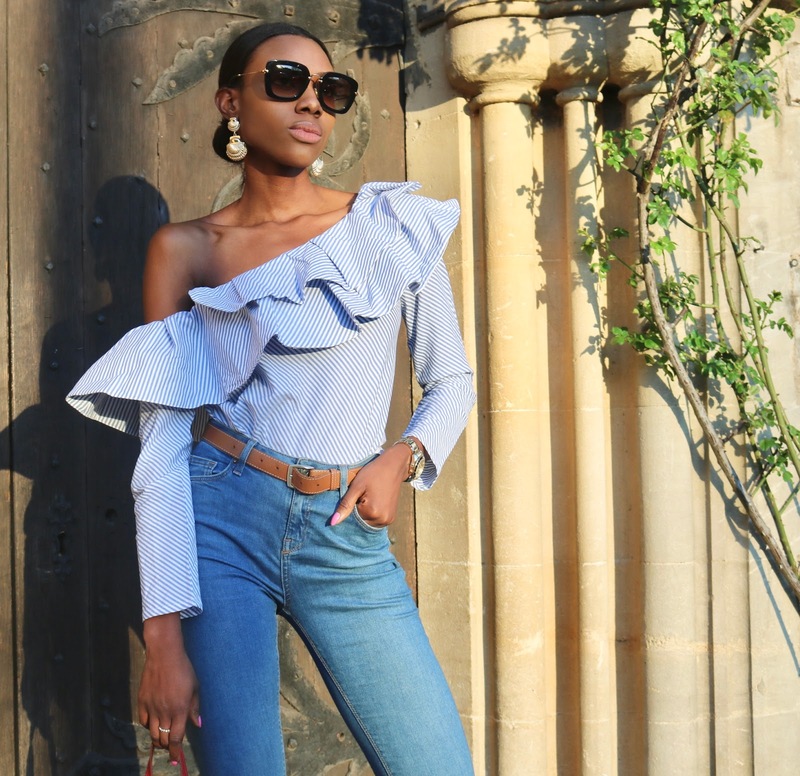 As I said previously, the one shoulder ruffle top is the new off the shoulder ruffle top for summer 2017 and is one of the popular trends at the moment. Despite the fact that I already own a one shoulder ruffle top, I still went ahead and grabbed another from Shein and I must that I prefer this version to the last. Why? you may ask, well for starters, I happen to find the ruffles on this one shoulder ruffle top to be a bit more structured and I find the fit of this version to be better suited to my frame. 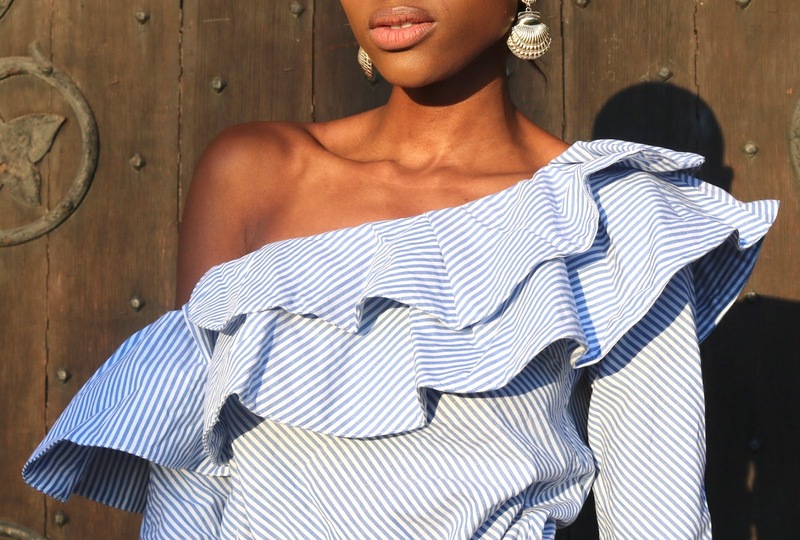 I found my previous version to be less fitted and while most times I tend to favour loosely fitted tops, in this instance I happen think that given the ruffle detail, it is much better to have the body of the top be more fitting to ones frame. 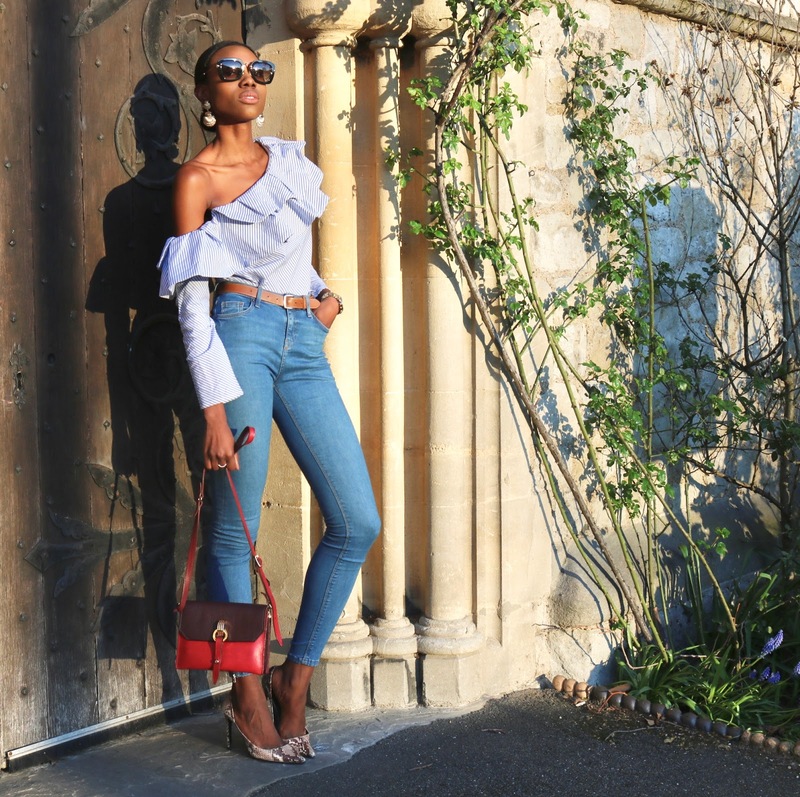 I kept my look very casual by pairing the Shein one shoulder ruffle top with some Topshop Jamie jeans much like I did last time. For a smart casual affair, I would recommend pairing the top with a fitted pencil skirt which is just one of the many ways in which you can style this piece. 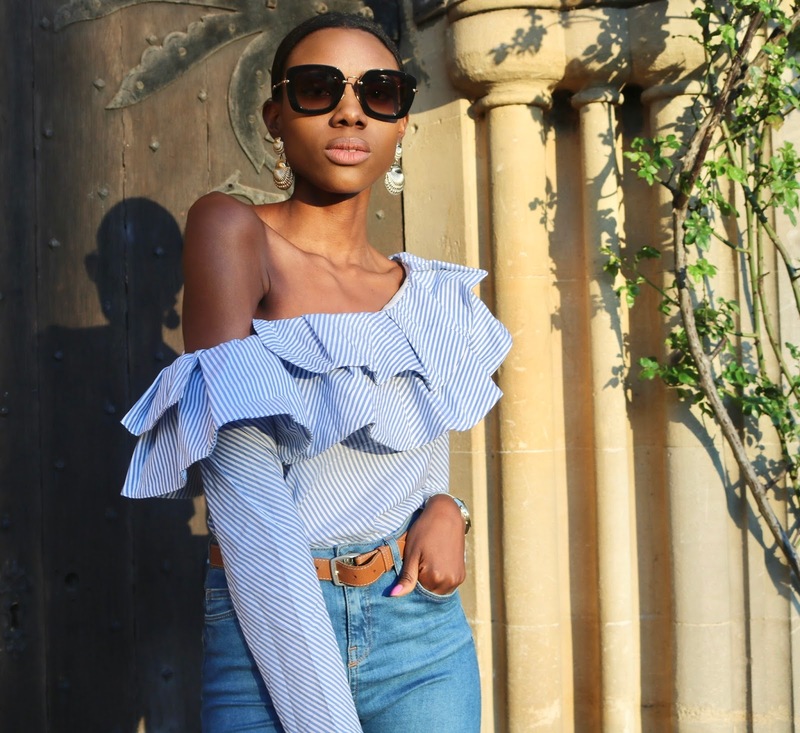 I tend to wear this one shoulder ruffle top in as many different ways as possible. 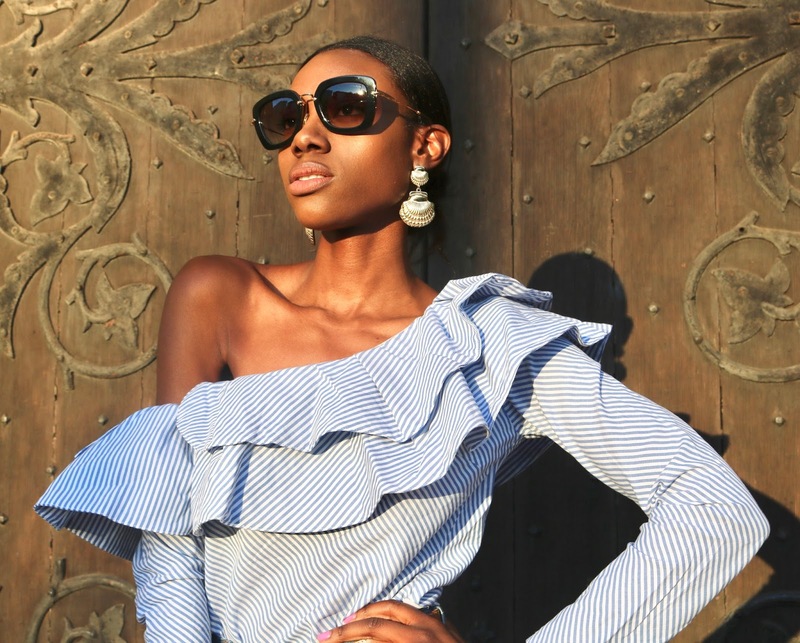 The one shoulder ruffle top is an ideal transitional piece to wear from the spring into the summer months. The one shoulder style allows you to bare some skin whilst also keeping warm with it's long sleeves. 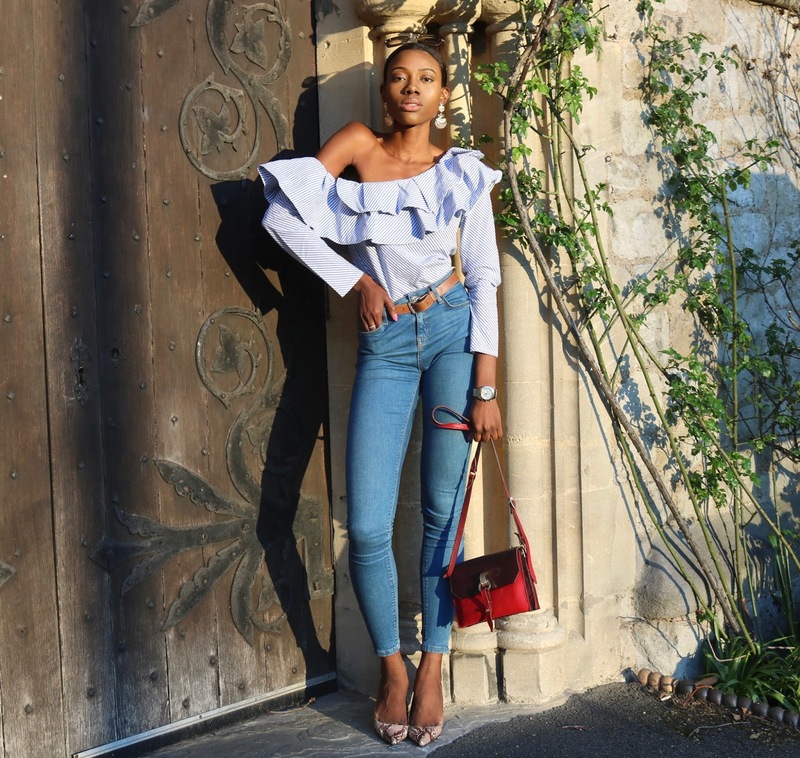 In comparison to my previous one shoulder ruffle top from Shein, I found the fabric composition of this Shein version to be a lot more sturdier and thus would recommend you grab this version unless you are after a very light weight piece.